Commodity Trading News And Technical Analysis Reports. : Is Aluminum’s Nine-year Surplus Finally Ending? 2013 wasn’t a great year for aluminum. 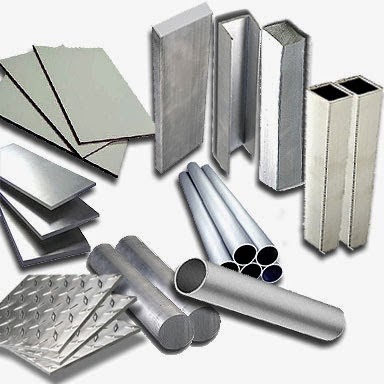 During the first nine months of the year, production of the metal exceeded demand by 1.2 million metric tons (MT), The Wall Street Journal quotes the the World Bureau of Metal Statistics as saying. That’s more than double the surplus recorded during the previous year. Unsurprisingly, prices for the metal were hit hard by that oversupply. Specifically, states the news outlet, as the year drew to a close, three-month aluminum on the London Metal Exchange (LME) was down at $1,748 per MT, its lowest point since July 2009. All that doom and gloom makes this week’s news that in 2014 the metal may go into deficit that much more significant. Providing that positive news was Alcoa (NYSE:AA), one of the world’s top aluminum producers. It released its first-quarter results on Tuesday, at that time also commenting that it sees the aluminum market falling into a 730,000-MT deficit this year. That’s up significantly from the deficit of 106,000 MT the company predicted back in January, as per Bloomberg. Driving that deficit, the company said, will be a 7-percent increase in worldwide aluminum demand, much of which is expected to come from the aerospace sector. However, auto sector demand, particularly from Ford (NYSE:F), which needs the metal for its lightweight F-150 pickup truck, will also play a role, said Klaus Kleinfeld, chairman and CEO at Alcoa. “The opportunity in auto is tremendous,” Bloomberg quotes him as saying. Aluminum prices have certainly gained some support from Alcoa’s new outlook. Most recently, Bloomberg pegged LME aluminum for three-month delivery at $1,827 per MT, above the $1,700 to $1,800 range it traded in for 2014′s first quarter. At the moment, it’s uncertain if prices for the metal will continue to rise. After all, as Forbes points out, structural factors such as “persistently high aluminum inventory relative to demand” are still an issue. However, Alcoa’s deficit prediction certainly seems to indicate that a shift may be in the works.